Software companies are the kind of businesses I’m usually excited to talk about. But if we don’t understand how other entrepreneurs work, we only have half a picture. What we want to do is pull in ideas from everywhere and bring them back to our companies. Which is why I invited t today’s guests. Shane and Jocelyn Sams are a married couple and former schoolteachers who were selling lesson plans online on sites like ElementaryLibrarian.com and USHistoryTeachers.com. We’ll find out how they did it. We’ll also find out about their new project, Flipped Lifestyle, where they help real people start online businesses. 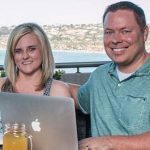 Shane and Jocelyn Sams are the founders of Flipped Lifestyle, where they help real people start online businesses. Andrew: Hey there, freedom fighters. My name is Andrew Warner. 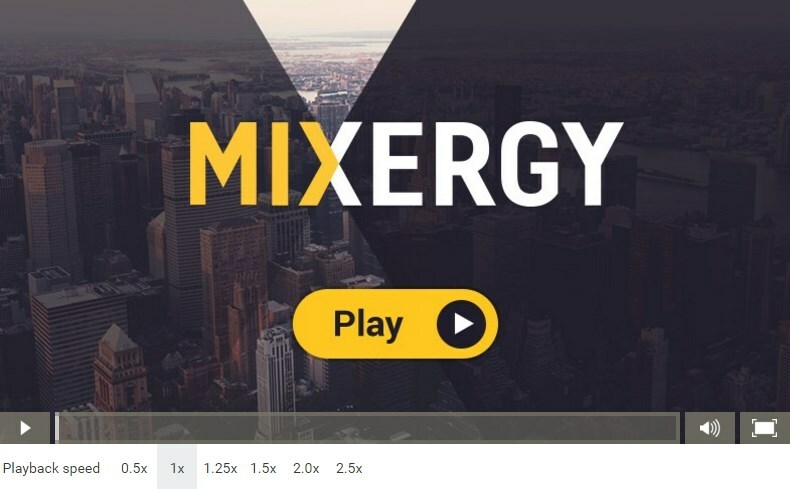 I’m the founder of Mixergy, where I interview entrepreneurs about how they built their businesses. You know, my focus usually is on software entrepreneurs. That’s the thing that got me started. That’s the business I was in before this. That’s the kind of companies I’m usually excited to talk about. I think if we don’t understand how other entrepreneurs work, we really have half a picture, in fact even less than half a picture. What we want to do is really understand entrepreneurship, pull in ideas from everywhere and learn as much as we can and more importantly bring it back to our companies. Which is why when I heard about this couple, former schoolteachers who were actually selling lesson plans I thought, “I don’t know what that exactly means, lesson plans online?” But that’s exactly that kind of entrepreneur, the kind of couple that I want to feature here on Mixergy. So here they are. This couple, Shane and Jocelyn Sams, they started this business where they now, if you go to ElementaryLibrarian.com you can buy lesson plans, USHistoryTeachers.com, buy lesson plans. They’ve built this up to a real sizeable business. In fact, I read a Forbes article about them that showed how big the business was. It’s more than just an interesting business. It’s a really successful thriving one and one that they believe shouldn’t take up 80 hours a week. In fact, I’m shocked. They say that it’s 10 hours a week. Do I have that right? Shane: Yes, you do. Yeah. Andrew: All right. So we’ll find out how they did that. We’ll find out what they’re doing what they’re doing that’s working. We’ll also find out about their new project, which is called–it’s actually not that new, it’s the newer, I guess, of the projects, it’s Flipped Lifestyle. They help real people start online businesses. I’d like to find out what kind of real people and what kind of businesses have started out because of what they’ve learned from Shane and Jocelyn. This whole is interview is sponsored by a company that if you’re doing this kind of marketing, you need to know about because it will automate your marketing beautifully. It’s called Drip. And if you’re looking to hire great developers, the second sponsor, Toptal, will help you do that. But I’ll tell you more about that later. First, good to have you guys here. Shane: Hey, man. Thanks for having us, Andrew, appreciate it. We’re very grateful to give us a part of a part of your platform for a day. Andrew: Thanks. So here’s the interesting thing. You guys were schoolteachers and then your son, Isaac, Jocelyn, you were saying came to you one day and said what? Jocelyn: Well, he said that he was having some trouble at a daycare facility. So we had been taking him to a daycare, and he was starting to cry more and more. He was just really upset about going. When we started digging into it a little bit more, they were doing some things that we didn’t really like. Jocelyn: We needed to stop that situation. Shane: There was a situation where potty training, of course, when you’re at a daycare facility, a lot of kids are potty training. You have two-year-olds, three-year-olds, four-year-olds, five-year-olds. We found out that they were using some really, really, what I would call abusive methods of potty training. They were locking kids in the bathroom in the dark. We found out this was like a long time too, like up to two and three hours. This was showing up at home, because Isaac was scared of the bathroom. He was brutally scared of the dark, like more than a normal kid should be. Shane: We just kept digging and digging and digging. Finally one day, I went to drop him off, I was heading to work and Isaac, it was freak out, not like toddler tantrum freak out. It was like fear, true fear to go into this building and be handed to the person. He did not want to do it. I had kind of put some pieces together. I confronted people and we found out this was going on. Okay. So here I am. We’re teachers. We have to be at school at 7:45 because you’ve got 30 kids sitting in your class, you know. I got like 20 minutes to drive 25 minutes, and I’m running behind and I’m like, “Oh my gosh, what do I do?” So there wasn’t even time to call the principal or my boss or anything like that because they’re at bus duty and they’re not even in their room. Shane: Yeah. I’m like, “Where is this going?” She said, “I don’t have time to watch your class, and I don’t have anybody else that can do it. So we can’t deal with this right now. Is your son in immediate danger?” That just echoes in my mind every time I say it out loud. I said, “Well, no, he’s not like on fire, but this is horrible. Do you not understand this?” She was like, “Well, you can’t go.” And I was like, “I’m going.” She basically threatened me with consequences if I did. Shane: And they do. They really did because she could threaten me with my job. She could threaten me with repercussions that make my life harder. I was like at that moment on the way back to get Isaac, I promised myself I’ve got to look for something that can get me out of the situation, that can get Jocelyn out of the situation and allow us to be in control of our life. Regardless, I didn’t even know what it looked like at that minute, but that’s kind of what started the ball rolling on leading to online business. Andrew: Jocelyn, I’m looking here at my notes from our producer, and it seems like you were a little skeptical that Shane would find something, that there was something out there. Am I right? Shane: I was like, “Crap, I’ll mow yards, whatever.” I started thinking of anything I could. I was like everyone doesn’t do that. Some people have their own business. So what can we do? That was my thought process. Andrew: What are some of the–I guess you didn’t start any of those business, but you did start some online businesses. What are the ones that you started before this one we’re going to be talking about? What are some of the early ones? Shane: “Yeah, sure we are.” She was like, “You go do that and if you do that, more power to you.” She turns around and ignored me totally. Shane: So, basically I started–I actually did start a worksheet site. I thought that I could give people free worksheets, because I was a history teacher and I had a bunch of worksheets I’d made. If I could put that on a website, it was the spammiest, worst website you’d ever seen in your life. I put Google ads everywhere they allowed them, Amazon all the way around it. Like right in the middle was this link that was like a little square that said Download, but then the ad beside it also said download, but it was totally a spamfest. But I was like, “Google AdSense, this is going to work. Affiliate links, this is going to work.” So that was the site I started. Of course that made nothing, basically. Then I was like, “Okay, what else do I have to offer?” I said, “I’m a dad. So I’ll be a dad blogger.” I actually wrote a post that didn’t go viral, but it got like 400 shares, and it was like this crazy story about how we went to a pizzeria and Isaac got the pizza holder stuck on his head and we had to go to the emergency room and cut it off of him. Shane: Really happened. I was like, “Wait.” I put that on Facebook and I was like, “If I turn this into a blog, maybe people will follow me.” I had a website called Toddler Apocalypse, where I just shared crazy crap my kids were doing, like when they made messes and stuff like that. That of course made absolutely no money. Then I started doing anything, man. I was like, “Maybe I could buy stuff at the flea market and sell it on eBay.” I tried all these things and like basically for six months nothing worked, but I kept listening. I kept trying and kept doing new things. Andrew: You know what? That Forbes article that I read said that the first bit of money that you made was $0.11. Where did the $0.11 come from? Shane: Okay. It’s so funny. We always hear people say like, “How much changed your life?” “Well, I made $1 million.” We’re like, “Really? A dime and a penny changed everything in our life.” That actually came from that old spammy history worksheet site. Shane: For months and months, it didn’t do anything because I didn’t understand that you have to put content on your website for Google to find you and be relevant. You couldn’t just put a single download link and 400 ads and hope to make any money. Somehow, some day, one worksheet must have come into the search results. Someone went to the site and they clicked on it. I can remember that moment like it was yesterday, because that’s what really got Jocelyn on board, which changed everything. Andrew: The $0.11 got you on board? Shane: We were lying in bed at midnight, Andrew. I was sitting there, Jocelyn was reading a book. It was really one of those moments where I seriously like prayed. I was like, “God, are these people lying to me, or is this real?” So I put my computer down, went to the bathroom came back and I hit refresh. I’m going to check one more time before bed. It went zero, refresh and it must have been right at the right moment and it came back it was $0.11. I threw my computer across the room, jumped up and down and I told her and said, “There’s $0.11. If we can get one person to do it, then we can get a million people to do it.” That was what kind of started the ball rolling towards like Elementary Library. Andrew: It seems like at that point the two of you sat down and you said, “Let’s think about this a little more strategically.” I’m looking at my notes here from your conversation with our producer, Jeremy Weisz. You said, “What do we know? What can we give people that the need?” Those two questions, how did that help sharpen your focus? Jocelyn: So, for me, I’m a very practical person. Shane’s an all-in, just try things and see what happens. But for me, I want there to be some type of strategy involved. So really I just started thinking about, “I’m a librarian. What kinds of things do I need, because that’s probably what other people might need?” That’s how the process started working for me. I just started thinking about that and how I could use what I needed in my classroom to possibly make some money. Shane: So, basically, we were like if we make all these lessons, what’s the worst case scenario is we’ve created lessons and we can use them. It was really like there was no floor. There was no negative to creating all this content. It was just could we sell it to other people. Andrew: And you were thinking no more advertising, “Can we sell it?” it seems like too. Shane: Yes. I went back to the original thought process of why is this so hard? Why is this not working? I’m like because your sites are spammy and terrible looking. Then I said what was the original idea? Well, you heard about someone who took information they knew, who was ahead of other people and relayed that information through a digital product back to people behind them. That was kind of the circle that we created. What about a new librarian? What about a new history teacher? I also sold like football playbooks. New coaches, they don’t know this stuff. But if we can create a product and they give us money, we can send it to them rinse and repeat. Andrew: ElementaryLibrarian.com, was that the first one that did this model? Andrew: Okay. What’s the issue that a librarian has? Jocelyn: Yeah. So, basically, an elementary school librarian in most cases, they have what’s called a thick schedule. What that means is their day is pretty much fixed. They have classes all day long that come to them on a regular schedule. The problem with them is they also have to be available to check out books. They have to be available to repair books, to do a lot of other things that people don’t even know that elementary librarians do. So that was the problem that I was facing. I needed to have these nice detailed lesson plans and activities for my students to do, but at the same time, I also had to do 67 other tasks. Andrew: What’s an activity that you need to come up with? I thought the only thing librarians did was a class comes in, go look at your books and I will help you check out books and I’ll put the ones that you return back on the shelves. Andrew: What’s a lesson plan–I see you guys are both shaking your heads I’m wrong. Jocelyn: But that is what a lot of people think. So, for instance, I would have a class come to me. I’m expected to teach them things like that go along with national standards. Shane: Like reading and how to find information. Andrew: The librarian teaches that, reading? Jocelyn: Most librarians don’t get that. Shane: Exactly. She’s teaching kindergartners one class, fifth graders the next. So you’re making kindergarten lessons, first grade lessons, second grade lessons. These by law have to be aligned to national standards, and you have to create documents and things that prove that. To create like one day of lesson, it could take four or five hours, and what most librarians and teachers have to do is they go home at night and lose their family. They lose their free time. Andrew: Because they’re planning for this. Andrew: I see. So they don’t go home at 3:00 when school ends and chill with their family? Andrew: So I’m looking at one of the lesson plans here. This is for grade three, month seven, week four, objective, “I can” statements. Students will be able to identify elements of fables, folk tales and myths. I can identify elements of fables, folk tales and myths is the “I can” statement that they’ll have at the end of this. Wow. I actually don’t know the elements of fables, folk tales and myths. I see. This is the process for teaching it to them and assessing whether they’ve done it. I see. Students will go to their appropriate center, display fables, folk tales, myths, computer activities document on each student’s computer station. Students will choose the computer, I get it. Okay. They either can teach this and then go home and create tomorrow’s plan or just have you guys create tomorrow’s plan. Andrew: Got it. I can see why they would be willing to pay for it. Shane: It’s bell to bell instruction is what we sell. Jocelyn: It’s a complete system for the entire year. Shane: For every single day of the year. It took a year to create all of that. Andrew: Couldn’t they just go to a friend of theirs, or if they do it one year, couldn’t they just keep using it over and over? Jocelyn: Theoretically yes, but we do come up with new content each month, and people keep paying for it. The good thing is a lot of times their school district will pay for it. Shane: They renew every year. The standards change or something else has to be emphasized one year compared to the other. Also too, teachers change jobs, just like everybody else does. You may have had all your lessons on the old school computer, you leave and you lose it. You’ve got to keep up with all that information, or you can just pay us and it’s all right there and all you have to do is log in and you can go get it. So you’re also selling convenience. It’s kind of like storage for Vimeo or something like that. Jocelyn: So LiveBinders is a free platform. It’s basically like a hard copy binder, except you just save things inside of your binder. Jocelyn: It’s sort of like Pinterest. Andrew: Did you guys create that, or did somebody else create that? Andrew: I see. You were putting it into their LiveBinders, so they would have all these binders. I see it. It’s just a standard WordPress blog–I’m looking at the early version of it. It’s got a nice logo on it. Who created the logo? Jocelyn: That was actually my sister. That’s [inaudible 00:17:44]. Andrew: Okay. So how did you get people to come to this site so they would want–and then lead them to a sale? Shane: So, what we did though–there’s kind of one step before this–so we talked about this. We were still kind of like, “Man, that’s a lot of work.” So, of course, Jocelyn is like, “Okay, wait a minute.” So I just went out and bought Elementary Librarian and installed WordPress and I said, “Here, take this.” And Jocelyn had kind of watched me run into walls for six months. She had this nice little Cliff Notes version on ramp of like, “I have to create content. I have to promote the content.” It just blew it up. Jocelyn: So I made one month and sent it out to my list and people bought. Shane: We did some real guerilla marketing. Being teachers, we didn’t have any money to really invest in this. So we would like basically spend hours–she made probably ten blog posts, maybe the free opt-in. We would just sit and look for anywhere librarians congregated–groups, forums. Jocelyn went to like Wikis. Jocelyn: Sort of like Wikipedia, but they’re like for teachers. Shane: For schools and teachers. Shane: We would just drop links everywhere. Jocelyn: I would add my link on there. Shane: Everywhere we could go until we could find some kind of audience. Andrew: Okay. I see it. Then that started to bring people in. Then once you got a few customers–actually, how big did your list get before you started selling? Jocelyn: So, probably, I’d say in the first couple months, I was able to get about 400 or 500 people on the list just from regularly blogging, just from going and dropping links, places. It was very–I didn’t do any paid advertising at all. People just, they just got it. They liked my voice. They liked what I was saying. They liked that I understand the problems that they were going through. Nobody else was talking about it. Andrew: Your button says–or your lead magnet was Free Library Lesson Plans Sent Directly to Your Inbox. Andrew: That’s what the offer was. But I guess it’s samples that you were sending them? Jocelyn: Yes. So I would send them samples, and they would check it out. If they liked it, I would send them follow-up emails to come back and buy. Shane: And the original launch, when she made this, we were like, “Let’s give them a month free and get them hooked on it.” And then we’ll ask them what to do next. So once we had this small audience, we said, “Hey, you loved that first month of lessons.” We waited until back to school, right before school started to do this so that way the first month would be easy for these people. Then we said, “We’re going to make these every month if you’ll pay for them every month. Is that cool?” So, basically the first 12 months, we would launch the next month. Shane: We would pre-sell September in August. Andrew: How much did you make in that first launch with a few hundred people on the list? Jocelyn: The first month was kind of unbelievable. We made like $2,000 the first month. Shane: Yeah. That for us, we only made like $4,500, $5,000 at the time. So we realized then okay, digital products, this is what it’s all about. Andrew: I see. What were you guys making as teachers? Is that inappropriate to ask? Shane: No. I would say each of us probably brought home about $2,500 after taxes. Jocelyn: I would say totally around $5,000 a month. Andrew: Okay. All right. I’m looking, by the way, the email system that you guys used back then was AWeber. Today you guys have gotten so much more sophisticated about the email marketing that you do. What’s the difference between the way you market email now and the way you did it back then? Shane: Segmenting. That’s the biggest difference is segmenting. Andrew: What do you mean by segmenting? Shane: We were very linear in the beginning. Anybody that signed up got these seven emails, and if they didn’t buy, hopefully they’ll buy later. Now it’s like okay, are you a librarian who primarily teaches fifth grade? Are you a US history teacher teaching freshman or teaching juniors? There’s a huge a difference there. Andrew: And you then sent out different email based on that? Andrew: Did you also segment based on action? Andrew: What kind of action do you segment based on? Jocelyn: It’s mostly based on clicks like from emails. Shane: Tell him about how you do Black Friday sales? Jocelyn: One thing I do is if they haven’t bought and they’re still on my list, I’ll send them a sale email for Black Friday. One of the things I’ve done is told them I wanted them to vote on what they wanted to see a sale on. They have little squares there and they can click on things and whatever they clicked on, I would offer that to them later in the funnel. Andrew: That’s what you used to promote the sale? Shane: Yes. Like one person might have just random out of my hat, one person might say, “I really want a Civil War lesson plan.” And one person might say, “I’m getting ready to teach World War I. I really need a World War I lesson plan.” The next emails after their click is, “Here’s your Civil War on sale. Here’s your World War I on sale.” They get just in time products. Andrew: I’m glad you brought that up. That ties in beautifully into my sponsor and I want to take a moment to acknowledge the sponsor and talk about them. The sponsor is a company called Drip. The reason I like Drip is all the stuff we’re talking about right now can be done very easily in Drip. In fact, in many ways, they automate it. You send someone an eBook, for example, as a sample, you want to know, “Did they open it or not? Did they actually take that action?” If they did, you treat them a little bit different than somebody who didn’t. Maybe if they didn’t open an eBook, you say, “Hey, I sent you the eBook, I want to make sure you got it and you give them a little nudge.” Drip is so good for that. You can actually start to segment people based on what they do on your website. Maybe it’s not send them an email and see which of the offers they click on, but you have a lot of different free products on your site and based on the one they’ve gravitated to and they’ve clicked on, on your site, you then can follow up and send a different message via email. I know all this stuff because I did a one-hour screen share with the guy that bought the company, Clay Collins, really great marketer. He bought Drip. He was so proud of why he bought this because he’s a great marketer and he wanted good software for email marketing. He showed me all this stuff. It’s amazing. He said, “Look, Andrew, did you know that if someone,” did you guys know this, that you send out an email, if you follow up a few days later just to the people who did not open that email, you can get–in their case they get 30% lift, meaning another 30% will click. Andrew: The exact same email, different headline. Now, in most email systems, this is something that now marketers have discovered–do you guys do it? I don’t do it. Shane: We do. We actually follow up whenever we send an email out like on Tuesday, we send an email on Tuesday morning and we send another one on Thursday evening with a different headline. We usually see about a 10% to 20% uptick. Andrew: Just to the people who didn’t open the first one? Shane: Just to the people who didn’t open the first one, yeah. It’s amazing. Andrew: So you guys have someone who runs this for you, who manually knows your system. I know the process. Somebody needs to manually go in and do it. The beautiful thing about Drip is there’s a checkbox. You just check a box and say, “I want this to go out x-number of days after to the people who didn’t open and here’s the new subject line,” like little automation like that so if someone’s listening to me and says, “I’m just on Aweber, some basic email system like MailChimp. I want to finally add marketing automation. I don’t need to hire a team or somebody who manages it for me.” You can do it with Drip. Now, you could also hire people. They are Drip-certified people who obsess on it. But it’s so easy that even their lives are easier. You can do split testing. One of my big frustrations with a lot of email systems including the one that I use is that you can’t do email split testing. I want to try one headline and another. That makes a dramatic difference on the web, right? Andrew: In an email, it makes an even bigger difference because if you don’t open up my email, if you just auto-archive it by swiping to the left, or the right, whatever, I’ve lost you. So, all this stuff is built right in. Here’s another thing that Drip has. They’ve realized there are some really good marketers out there that write great email cop and know exactly when to send what, like Ryan Deiss, for example. They just partner up with them and say, “Hey, Ryan, can we copy your full sales campaign to launch a product?” They worked out a deal with him and now you get the full campaign in there. You delete Ryan’s contact information. You put yours in. Delete his product information, maybe make some edits, but at least you have a template to follow. Andrew: Then it’s thousands a year to just maintain it. He says, “I’m going to offer this marketing automation software for free for the first 100 contacts.” So, if someone out there wants to play around, they could. He says a lot of people who are too connected to their current software to leave have found they can create a new list for a new product on Drip and it interacts well with everything else they’ve got. All right. So, if you’re like me and you want to try it out–this is what I’ve decided. I’m creating a brand new list on Drip for a new product. I want to start fresh right. All you have to do is go to Drip.co/Mixergy. When you go to Drip.co/Mixergy, you are going to be able to try this out, 100 contacts for free. They’ll know you came from me. You know my sponsors always take good care of my audience because I’ve got a big freaking mouth and I complain like crazy on their behalf. All right. Go check it out, Drip.co/Mixergy. Build your email list right and talk to your people in–I was going to say an automated way, but it’s not. It’s like a personalized way the way you guys are doing it–Drip.co/Mixergy. I see now that you guys have finally got things going in this story. I’m also looking here at my notes. At some point, you hit $9,000 selling an eBook. What’s the eBook? Shane: So we said, “Okay, let’s make more products.” So we knew we had the year of lesson plans. We used everything we had learned through Elementary Librarian to create US History Teachers and to create–I had a football coaching website called CoachXO.com. I made this playbook and I had this podcast and everything, like I was getting famous coaches on it and I built this audience. I sat on Twitter night after night adding football coaches. I got this huge following and I finally said, “I’ve got to sell this playbook.” But I was like, “I can’t charge $10 for this.” So I gave the playbook away, and I instead sold all the resources like drills and videos and all this stuff and we launched it and it made like $9,000 and then she launched the second iteration of Elementary Librarian and all of a sudden we made $15,000. We start school and we had just made these huge lumps of money and we’re starting to look at each other like, “This is crazy. Can we quit our jobs?” Then August happened. So we had the $9,000, the $15,000 and then bam, we made $36,000 in August of 2013. We were like, “That’s like our salary right there. That’s it. Andrew: When you started asking people, “Should I quit my job?” What did they say? Jocelyn: Basically we’re crazy, like people just did not understand. I talked about before where we are from a very small town. People just don’t do this. People are slightly aware of online businesses, like they might know about Amazon or something, but they don’t know about this, I don’t know, I guess you call it a culture. Shane: Yeah. Also too, I’ve got two really good stories about this. You’ve got to have some context of the timing. This is like a year or two after the great recession. We had teaching jobs and I was tenured. So, like, everybody else was losing their job and I couldn’t be fired. Jocelyn: And teaching is a good job here. Shane: The first people we actually told was like our–we have a Sunday school, but it’s a small group at church. I remember like–they knew we were doing something, but they didn’t know what. We were like, “Yeah, we’ve decided to quit our job. Could you guys just pray for us and help us make good decisions and wisdom?” When I stopped the comment, it was just like everyone looked at us with the biggest saucer eyes and just nobody talked for the most awkward 35 seconds you’ve ever seen. People came up to me after like, “You can’t do this. You’ve got kids. Don’t do this.” So then I’m like, “Okay, no support there. I’ll tell my mom and dad. They’ll support us, surely.” Oh no. They were like–I remember my mom pointing at me and she goes, “Shane Sams, you have flipped out. You have lost your mind. You’ve got babies. You’ve got kids. You cannot do this.” I was like, “Okay, my mom thinks I’ve flipped out,” which is funny because that’s actually why we call it Flipped Lifestyle now. I remember just nobody supported us. My best friend on earth is one of the only people that was like, “Do it, man.” He’s the guy that got me in trouble a lot in high school too. You know what I mean? Jocelyn: We did have few supporters, but. . .
Andrew: Because the danger was, hey look, if this thing is just a flash in the pan, you hit it okay, but it’s not ongoing. Somebody else can copy you. You try to go back and get a job, you’re not going to get tenure. Andrew: And you might end up taking a big risk that costs you money, mortgage your house, whatever. By the way, there was a period there where apparently things were rough for you. I don’t know when that was. I love that Jeremy takes notes so well in conversation. He said, “Make sure to ask them about the time they had to give up their house. This is a family that had a house with a pool.” What happened? When did you have to sacrifice that? Shane: Well, that actually is not when the tough times started. What we did with the house was we actually–we always say we like to plant the seeds and prepare for rain. I don’t need the forecast. It’s going to rain. But we’ve got to prepare for it. So, about six months before we quit our job, I looked at Jocelyn–this was probably a harder sell than starting an online business–and I said, “If we’re going to have a chance to go into this full-time and quit our job, let’s make a huge dramatic change. Let’s sell this house and move into a house with half the mortgage. We’ll free up all that money to invest, and it’s less money that we need every month when we quit our job so we can actually make it.” So we actually sold our house the summer before we quit. But we were planning on quitting in 2014, not in 2013. Jocelyn: That was after we had quit. Jocelyn: Things were going really well in the summer, but at the time, we had a product that was very seasonal. The summer was a really big hit. Shane: The season traffic, people were really looking for it, but not so much later. So February, it dropped dramatically. We had no recurring revenue at this time. Jocelyn: How long until summer? Andrew: Let’s go back to CoachXO. This is where you guys had your model and you sad, “Let’s experiment in lots of different ways.” You said, “I’m going to give my book away for free and then sell these resources.” What are the resources? Where did you get them? Did you make them yourself? So I wrote a playbook that was on par with the best playbooks that anybody has ever written about defensive football and I said, “Take it.” Then I followed it up with the more advanced stuff like game planning. How do you teach this to the kids? How do you run the drills? How do you get ready every week for your game? What do you do in the offseason? How do you get your kid strong enough to run these plays? Andrew: How did you know what else do add to it? Shane: Because I was a head coach and I always tell people I’ve been 10-0 and I’ve been 0-10 and I’ve been everywhere in between. I’ve soared with eagles and slithered with the snakes. I knew that this was why things didn’t work. These were the struggles that I had when I was a young head coach. Also too just studying that search traffic. People were looking for–they weren’t necessarily looking for the playbook. They were looking for how to teach tackling, how to teach blocking, how to tell your kids what to do on the field. I knew that was the real pain point. The playbook was the symptom, “What defense do I want to run?” The disease was, “I can’t get my kids to do this.” So I sold them how to get the kids to do it, and I gave them everything that came before that. Andrew: How did you know that how to get the kids to do it was the disease? Shane: That was where the most search traffic was, was for football drills, football installation. It wasn’t necessarily for the playbook. Andrew: I see. I’ve tried to do these searches. Maybe I’m missing something. What do you do to use search to help you understand what problems people have? Shane: Well, I started broad. Andrew: Where are you going specifically? What tool? Shane: I don’t use any tools. I go to the Google AdWords keyword tool and I just get Google’s data that they’ll give me on what are people actually sitting in front of their computer and typing into the search engine. Andrew: You’ll type in “playbook” and see what comes up as suggestions. Shane: It will be a little more specific. I would do like let’s say it’s a 4-3 playbook, which is a kind of defense. Then I’ll look at that. Then I’ll think, “What does a coach do when he gets in a meeting? He learns the plays. What does he do when he gets to the practice field? Well, he has to take the linebackers over here. He has to take the defensive backs over here. He has to take the defensive lineman here. What does he do next? He does drills. Those are components that add up eventually to the playbook.” I also drew from my own experience because I was the avatar. It kind of helps you look. Andrew: I see. It seems like before you did that, you were selling individual products for like $9, $37, right? Even on the football site, right? Andrew: So, before you gave away the book, you were trying to get people to buy these individual products. That wasn’t exactly working. You gave away the eBook. That gave you a list of people and it showed them that you know what you were talking about and then you sold. So far what we’re looking at is individual products. Let’s get into the subscriptions, right? It seems like you realized, “You know what? I don’t want this feast or famine. I want a little bit more predictability.” What’s the first thing that you sold on a subscription basis? Shane: It was the lesson plans. Jocelyn: I would say probably the first site we moved over was Elementary Librarian. We had gone to an event and met some people who were doing a subscription service and we thought, “This is cool.” So we had a 14-hour flight home and no internet access. So we kind of planned out what we were going to do and switch over, I think, that one first. Shane: Well, we were coming back from the Philippines. This was in Asia. Andrew: This is Chris Ducker’s thing? Jocelyn: Yeah, because summer was coming. We couldn’t let the summer start. That’s our busiest time in education. We couldn’t let that start not having this done. It had to be done. Shane: Exactly. So we wanted to–this was scary because we were selling stuff for $500 and now we’re going to sell it for $50 a month? What if nobody buys? What if they don’t stay? We did. We went all-in. We kind of pushed all our chips in. We launched Flipped Lifestyle’s community. We got like 150 members on the first webinar. We launched Elementary Librarian. The craziest thing was we made almost as much selling memberships the first month as we had selling the big ticket product the year before. It was all recurring. Everything was about to repeat itself. Andrew: You got 150 people to buy on a webinar? Andrew: How many people showed up? Andrew: You taught about email–oh, because this is Flipped Lifestyle. Shane: She taught back to school. Andrew: I get Flipped Lifestyle, how at that point, that audience is ready to buy at a webinar. That audience is much more looking for somebody who’s not in the business who’s still using the same email marketing techniques. Jocelyn, what about you? How did you sell the membership? Jocelyn: So, starting out, I basically went to people who had purchased before. If you had purchased one of my one-off products, I did a special legacy discount. I’ve never offered it since, but I said, “Okay, you’ve bought from me before. I’m going to give you this really special rate I’m not going to offer again, so take it or not.” I had a lot of people jump on. I can’t remember exactly how many. It was probably over 100. Shane: Yeah. It was more than that. I think on the first webinar, it was probably about 100. But by the end of the first month, it was like 400 or 500. Andrew: She did a webinar–you did a webinar too? Jocelyn: Yeah. I did several webinars for Elementary Librarian. Jocelyn: Just showing people, “Okay, this is the subscription model, this is what it looks like. This is why I’m moving to the subscription-based model.” I had some people that were like, “I don’t like this,” but most people were pretty receptive and they liked it. Shane: And then we took advantage on the teaching stuff of an unfair advantage too. We knew there was definitely a lot of our customers are librarians that pay for it themselves, but we knew they had access to school funds, so we were like, “Hey, if you don’t have the money for this, go ask your financial officer to buy this for you and we will just take a purchase order. If we can get the purchase order number, we’ll give you access today,” it usually takes like eight weeks. Andrew: We’ll work out the payment. Andrew: You guys had to go–Jocelyn, you had to go back to the schools and say, “We have a purchase order. We gave access. Now it’s time to pay. Jocelyn: Oh yeah, I do it all the time. I’ve been doing this for a very long time. I have hundreds of schools who pay me with purchase orders. I have a very specific procedure to go along with it. Shane: It’s awesome. We got a check at the end of January. Now we’re getting school districts. When an elementary librarian or a history teacher contacts us, we’re like, “Hey, you’ve got eight schools in your district. Why don’t you get a discount,” and they’ll buy. But we got a check for like $5,000 and that’s recurring every year. Andrew: I am amazed. I freaking love this business. You know what? Go ahead, sorry. Shane: We got a quote the other day. I don’t want to say the school district because it’s proprietary. We got a quote the other day, one of the biggest school districts in the country and the quote was for $24,000. It’s because every librarian in every school in this district where two million people live was going to be using these plans. Andrew: It’s not like a school district is going to buy one and start handing it out. They’re not bootlegging. Shane: They’re not going to do that because it’s illegal and they’ll get sued. Andrew: Go ahead. Sorry, Jocelyn. Jocelyn: I was just going to say we’re still in negotiation with that. That’s one of my strategies ongoing is to get more of these districts onboard. I have several now that are a whole district. Andrew: You guys work only ten hours a week? Jocelyn: On the education businesses, yes, probably less than that. Andrew: Who’s doing all this purchase order and all that? Jocelyn: We have virtual assistants. We have very specific procedures. That’s one thing that I’m very, very particular about. I want to make sure that everything is documented. I have videos for just about every procedure in the business. One of the things that I got in that statement, not just the statement and what you said word for word, but the attitude that came through was, “We are people who are running this business and we don’t mind hiring good people. We’re going to systemize our business so that we can hire people.” You’re nodding, like full agreement here, which is why I’ve got to tell you and my audience about a company called Toptal. Right now you guys are building everything on WordPress, right? At a cheapo freelance site, you’re going to get someone who’s a cheapo freelancer. Step by step, you tell them exactly what to do and they’ll go code it up, which is fine. If you are really systemized, you can probably find two people, maybe even pay both of them because it’s so inexpensive. One of them will do a good job and you’ll stick with them. Andrew: The thing is there’s a reason why Google doesn’t hire people like that. There’s a reason why Facebook isn’t hiring people like that. They’re hiring people who can come up with solutions they can’t anticipate ahead of time. They’re hiring smart people. I got a friend who works at–he told me I don’t have to hide this. He works at the augmented reality for Google. He’s sitting down and telling me–augmented reality for me is you look at your house on your phone and you see where the couch goes–you see your house and you can picture the sofa in the living room. Andrew: As you move around, you see what it looks like. He says, “No, Andrew, that’s augmented reality as we initially thought about it, but we’re thinking now imagine a blind person getting to walk through his city completely through a city.” All the same tools we’re using for augmented reality to allow you to see where your couch goes can be used for that. My friend has got to go an hour and a half each way to go down to Mountain View from San Francisco. He’s got a kid. We’re talking about a really touch lifestyle three hours away from your kid. The wife also has to work because they’re living in San Francisco. There are a lot of people who are smart and don’t want that lifestyle. They partner up with Toptal. Toptal then has a database of tons of these people. When anyone in my audience goes to Toptal and says, “We need to hire a developer,” they get someone who’s Google qualified–that level of person, I should say. I don’t want to connect Google to this too much, but that level of intelligence. You tell Toptal what you’re looking for. They first talk to you. They understand the way you work. They understand your systems or your lack of systems. They understand your vision or lack of vision. Then they go and find the perfect person for you. If it’s a good fit, you can start within a day. Shane: Andrew, this is so funny you bring this up because I always listen to a few podcasts or shows before we go on a show because I want to know about the person. Andrew: Yeah. You’re the most organized people I’ve ever–I shouldn’t say ever, but so many ways. I was listening to your podcast and I was like, “This sounds awesome.” I went to it and I was like, “Hey, Jocelyn. I was just listening to Andrew Warner getting ready for the show and I found this place where can get these awesome coders.” We keep fighting people on other places. But it really is amazing once you get on there and look at it. These people are legit, man. Andrew: If you’re interested, I urge you to setup a call with them, even if it’s not for today but for months from now. I’d be happy to introduce you and anyone else who’s out there who wants to get introduced, Andrew@Mixergy.com. I’ve known them for a very, very long time. The first time I did an event in SXSW with Ze Frank, who’s now running BuzzFeed Entertainment, Gary Vaynerchuk, Tim Ferriss, one of the founders of Toptal was in the audience as a fan of mine coming in to listen. Andrew: I’m happy to introduce you guys to my person, my friend over at Toptal. Email me, Andrew@Mixergy.com and I’ll make the intro. Or if you’d rather just go to the web, go to a special URL they setup where they’re going to Mixergy listeners 80 hours of Toptal developer credit when they pay for their first 80 hours and that’s in addition to a no risk trial period of up to two weeks. Go to Toptal.com/Mixergy. I should spell it out, Toptal.com/Mixergy, top as in top of the mountain, tal as in talent, Toptal.com/Mixergy. You know what? This is a little off-topic and we’re going to get into the revenue you guys are doing now and what’s working for you, but Jocelyn. I’m really fascinated by systems. I’m a systems person. My problem is I create these Google docs. They work beautifully. Then we make these slight changes or the person running the stuff for me makes a change and then the Google doc is out of date. Or like I said to my assistant, “Could you please put a link to the Google doc with my notes for each interview?” She does it, but we don’t go and document it. Now that is not in our system. Systems that are there get out of date very fast. What’s your organization system? Jocelyn: Well, first of all, I would say that you have to have really good people and that is a mistake we made in the past, but the people we have now are really outstanding. Basically if we change something, I have the person actually go and change it for me. I don’t have to worry about it. I just say if we do something new, I say go into the document and change this procedure. Andrew: Go into the Google doc and change it for me? Shane: Yeah. We figured out–we had problems like that too. We basically just looked at each other and said, “There is no reason that we should ever enter these procedures, some of them. So, how do we get ourselves out of it?” The answer was hire people you can trust to do it for you. Jocelyn: So now the only thing we really do is re-record a video, we have them write the procedure and then if we later decide to change it, they go back in and update the procedure. Number one, we let them hire the people. We don’t even hire VAs anymore. We let our VAs hire other VAs. Then you’re going to take our procedures, the first rule is if you write a sentence that is two lines on the document, you need to break that into two bullets because that’s two steps. We have a bulleted list a mile long and we treat it like an airplane pilot. Andrew: In a Google doc. Shane: The plane will crash if you do not follow the list. Then you’ve got to be able to teach it to that person without being there. So you’re the one that’s going to go in and record the video. You’re the one that’s going to tell me what you’re doing because I don’t edit the videos. I don’t know what you’re doing. We just really trust our people to do that and delegate it, and if something happens, we try to fix it immediately, like if something is not in the list, when we do a podcast on our show, I’ve got like a three-page document, bulleted list every time, this is the flow. If something gets out of flow, I fix it right there. We don’t move on, to make sure those procedures are always air tight as much as possible. Andrew: I talked to Brian Harris from Videofruit. He’s also got a content and software business and he’s very big on systems. He uses software–I was looking at my notes right now to see what it was. I can’t remember it. It was something that allows him to see if people are following the documentation step by step, that they have to actually check off each item. So, before editing a video, they basically check out the checklist with all the different steps. They then have to hit a check mark next to each one of those steps and if they don’t do that, he knows they didn’t follow through on the process. Do you guys do that or are you guys just doing Google docs? Jocelyn: Right now we’re just using Google docs. I do like that idea though. Shane: Jocelyn also has a lot of the stuff in spreadsheets. There are some of our things where she’ll go in and whatever the date is, they put like an x or whatever. Jocelyn: They highlight it off that it’s finished. Jocelyn: I sort of spot check from time to time. Shane: Another thing that we do too, we didn’t want to be involved with all the management and stuff. We do a daily report with all of our people, all of our people have rescue time on their computers too, so we get like a weekly report of their rescue to see what they did and we can just kind of eyeball that. Another thing I get every day from the main team, the people at the top of the list is just a simple email. It can only be a couple paragraphs or a bulleted list of what you did that day. That’s just verification that I did this, but I’m also saying I used the checklist to do these things. At the bottom of that list, they write in all caps, red, yellow or green. That tells us their capacity. So, if it says yellow, that means I’m getting a bunch of stuff. I’m trying to get caught up. If it’s red, that means please don’t record anything else right now. And if it’s green, that means we’ve got capacity. Andrew: Where do they do this? I’m missing that part? Shane: I get a daily email and there’s a weekly report due and at the bottom of the email, just type red or green or yellow. I open the email, red or green or yellow and I can tell then we’ve got all of our management on a green light. Let’s start making new content. Andrew: Where did you guys learn how to do all this? Shane: I actually learned that from James Schramko. James is a good friend of ours who we met in the Philippines, actually. James told us about how he did that every day just to know when to create more stuff, when to throttle back with your team. Andrew: I see. But that part you learned from him. What about the documentation, also from him? Andrew: How did you learn that? Jocelyn: Yes. I am what you might call a control freak. Andrew: I admire that. I think you need to be in order to run this kind of business. Andrew: I love the way you work. Jocelyn, I love you. This is amazing. Andrew: I had a sense because Jocelyn messaged me. I was on a call and Jocelyn messaged me to say, “Hey, we’re here, just letting you know we’re ready to go and we’ll be there five minutes before.” No, here, can I read it? Andrew: “Hey, Andrew, Shane and Jocelyn here,” which I assume was Jocelyn now, right? Shane: Yeah. We hate it when people are like, “Oh, we have to cancel.” At least we would have known 30 minutes ahead and we could have filled the time. Andrew: That drives me nuts. Andrew: I could have used that time somewhere else. Shane: Exactly. Jocelyn even works into our calendar. Jocelyn works flex time in behind things. Like let’s say someone doesn’t show up for an interview, she already has what we’re going to do just in case they don’t. Andrew: Just in case. You know what I need? Maybe someone in the audience will know how to do this. I put everything on my calendar obsessively. I would like to have something that puts in like 15 minutes before an interview block that time automatically. As soon as there’s an interview, 15 minutes blocked before, 15 minutes after so that other people don’t start adding to my calendar. There’s got to be a Zapier zap for it but I don’t know what it is. Let me ask you guys this because I know we’re a little bit over here on time. Revenue–I see how you guys built to here. What’s your revenue today? Jocelyn: We don’t have anonymity. Shane: People in San Diego or San Francisco or L.A., you’re protected by the millions of people around you, so you can go about your business. But we can’t do that. It got really uncomfortable there for a while. Even though we’ve made millions online, even though we’ve done all these things, we don’t really get deep into revenue because I don’t want to go to church and somebody be asking me about my revenue. I want to go to church or I want to go to the store or coffee shop and have a coffee and people come over and start talking. Andrew: I read that Forbes article. It said you went from making your teacher’s salary to $1 million a year. You and I talked off camera and you told me what the numbers were and you’ve done better than when this Forbes article came out. But you did say, “Andrew, please help us out. I don’t want to give specific numbers because of this issue.” You have had issues where people are starting to come to you. What happens in your city when people discover how you’re doing? Shane: “How can I do this too?” We’ve even had some uncomfortable situations where people have asked us for money because they’re in a desperate situation. So those are the kinds of things that happen, and it’s part of being successful. Like we said earlier, when you drive by our house, we have a lake and a huge house. They’re going to know something is going on, but it’s really uncomfortable to get down–we have to say no to those people. We don’t have time to always go grab a coffee and tell you everything we do because you might do anything with that so how is that going to help you. Jocelyn: Yeah. We’ve had to just become just really ruthless with our time. I know you know what this is like. Time is the one thing you can’t get any more of. We have to say no and it’s really hard. Shane: We want people to know what’s possible online, which is why we share a lot of stuff on our Instagram about our lifestyle, our travel, things like that. But it’s hard then to get into the numbers because then people start getting ulterior motives. We’re all self-interested a little bit, so it’s the pick your brain syndrome, but they don’t understand we don’t have time to have our brains picked. Andrew: All right. This new business, I keep calling it a new business. It’s not new. It’s new in my story and my background. But it’s been–you’ve been doing this for a long time. I’m on the site. You said that there are examples of people who have built up businesses based on what they’ve learned on Flipped Lifestyle. Can you give me one? Shane: Yeah. We have one lady who we don’t mentioned names or web domains for privacy, of course, but her business, she was a professor. She basically knew about research and like maternity and having babies. She came to us, had pretty much nothing when she started. She was able to build up a business very rapidly and quit her job as a professor at a university within a few months. Andrew: All the stuff that you guys had to figure out, you showed her and now she skipped some of those steps. Shane: We put her on the onramp and go for it. We’ve had people that have launched like chess teaching websites. We had someone come in that knew, you know, like bonsai trees or whatever? Instead of bonsai trees, he raised Venus fly traps. Andrew: That’s a real thing? Shane: That’s a real thing. He cared for it and did a plan for Venus fly traps and made money on that. We had one guy that came to us and he had painted gourds. Like he grew gourds and dried them and painted art on them and look it up, there are like 9,000 searches a month for painted gourds. He started making money and selling his painted gourds online. We have all these crazy people doing everything from guitar lessons to sports coaches to everything. We see it time and time again, if they do the work and do the fundamentals, they’re going to actually make money online because they’re going to find their audience. Andrew: All right. That’s Flipped Lifestyle.com. I’m not also looking at @FlippedLS on Twitter and Instagram, actually. Shane: Instagram. I post everything on Instagram and it’s automated on Facebook and Twitter. Andrew: You guys don’t have a huge Instagram following, but you have very personal photos on there. Jocelyn: We just started Instagram kind of recently. Shane: Also a big difference between us too is our most important resource is time. So we kind of looked at it about three years ago and said, “Do we want to spend a lot of time or do we want to reinvest our money.” So we totally ignored social media and went straight to advertising. That’s how we built our entire business and launched different products. Andrew: Paid ads is what’s driving traffic. Where are you guys buying ads now? It seems like it’s mostly Facebook. Shane: Google and Facebook. Yeah. We drive Google ads to get clicks to our site, where we pixel them and follow up on Facebook. Shane: Buy some lesson plans. Andrew: Buy some lesson plans, and Elementary Librarian. It’s really good to get to know you guys. Thanks so much for doing this. If anyone is listening to me and they want to start building a proper email list, one with marketing automation built in that connects to what people are doing on your website, brand new sponsor for me, go check out Drip.co/Mixergy. You’ll get to use it for free and see how it helps grow your business. If you need to hire a great developer or a designer or so many other resources, Toptal is the place to go. Go to Toptal.com/Mixergy. And thanks for listening and subscribing to my podcast. Bye, everyone.